David Harvey’s recent talk at the Royal Society of Arts in animated form! 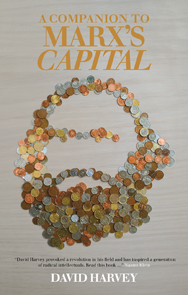 David Harvey teaches at the Graduate Centre of the City University of New York, and is the author of Companion to Marx’s Capital, The Limits to Capital, and Spaces of Global Capitalism, all from Verso. Paul Mason has been talking about his book Meltdown: The End of the Age of Greed on BBC Parliament Book Talk, along with Vince Cable and Gillian Tett. Paul Mason, author of Meltdown: The End of the Age of Greed, picked his eight favourite books for Red Pepper last September. For real insight into the political dimension, however, you should turn to Augar, the former investment banker, and to BBC reporter Paul Mason’s Meltdown. Both writers devote chapters to the key influence in the anthropology, economics and politics of the last two decades of financial markets: the rise of the investment bank. To read the complete review.